This car buying guide helps you understand the car buying process like no other guide. Whether you are buying a used car from a private party or buying a used car from a dealer this car buying guide will walk you through step by step. In clear and concise steps I will show you how to efficiently, locate, inspect, negotiate, and purchase a high quality car with ease and confidence. 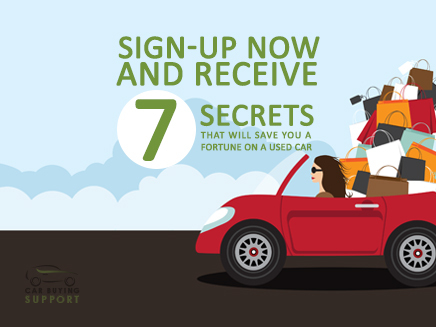 With access to this online car buying guide you will be buying a used car like a pro. My name is Greg Macke and I am a professional car buyer with over 35 years’ experience buying cars for my clients. I search for and buy cars every day and I want to share my car buying tips with everyone who needs expert advice on how to buy a used car. The knowledge I share with you will save you thousands of dollars and my used car inspection and buying techniques will insure that you get the best car at the best price. This online video and text guide uses the same time-tested formula I use on a daily basis when buying cars for my clients. This short video will give you an idea of how this guide can help you. This used car buying guide will also give you the professional advantage you need for success in the car buying process. I am so confident that using this car buying guide will get you a high quality used car that I am offering it with a full money back - no questions asked - guarantee. A car is one of the most expensive investments you will make in your lifetime. This detailed car buying guide has all of the tools you'll need to save you money, time and headaches. Regardless of your level of car knowledge you will succeed. This expert car buying guide will lead you through the process. The 10 Easy Steps to buying a used car online video and text guide. This used car buying guide gives you so much information at your fingertips with easy to follow steps and professional car buying videos that provide you with the crucial information to help you in your quest for a high quality used car. If in the unlikely event you are not completely satisfied with our Car Buying Guide, request your money back within 30 days of your purchase.